A reader has come up with a fascinating problem. 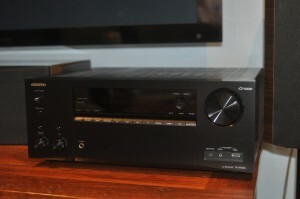 He bought a mid-range Onkyo home theatre receiver and noticed that when he plays CDs through either of the digital inputs, HDMI or optical, the receiver misses the first note of every track. But it doesn’t do this through the analogue RCA input. He bought his Onkyo to replace an old Onkyo and the old one didn’t do this. This had me totally stumped so I talked to Greg Borrowman at Australian Hi Fi magazine. Greg came up with two fixes, the simplest was just to go with the analogue connection through the RCAs. My reader worried that this might affect sound quality. The key issue here is the quality of the digital-to-analogue converter (DAC) in the disc player against the DAC in the receiver. Using a digital connection routes the signal through the DAC in the receiver while the analogue uses the DAC in the player. So, if the player has the best DAC use the analogue connections, if it’s the receiver use the digital. If in doubt use your ears. Onkyo’s importer suggested the same fix as Borrowman’s more complex solution; programming the receiver for the device supplying it. If each input is programmed for a specific source, so that it doesn’t have to set itself for that source each time, the problem is non-existent. The reader followed the suggested steps and; “Worked like a charm,” he said. 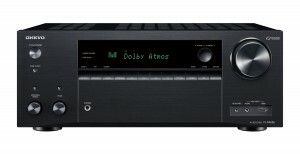 Lately I’ve been listening to Onkyo’s new TXNR686 7.2-channel home theatre receiver and it’s very fully featured for the price. You can have 7.2-channel surround, 5.2 channel surround with an additional two channels of Atmos or DTSX above, or split it into two zones with a 5.2 home theatre in one room and stereo in another for music or games. It handles 4K HDR video and there’s wifi, Bluetooth, Spotify, Tidal and Deezer, Chromecast, Airplay and Google Assist. There are seven HDMI inputs including one on the front panel, and two HDMI outputs. A front-panel tone control, operating on the front left and right speakers, is a handy thing if you have trouble hearing voices in movies against the background sounds. For music lovers there’s a high-res DAC, a phono input and a ‘pure audio’ mode, shutting down the video circuitry. The tuner gets AM and FM. Power is rated at 165 watts per channel into six ohms with one channel driven. Most speakers are eight ohms meaning the power figure will be reduced, but the Onkyo can handle speakers from four to sixteen ohms. The supplied quick start guide is pretty dreadful, very light on information and difficult to follow. If you have any doubts at all about your abilities you’ll need to have this hooked up by a pro, and you’ll need the online owner’s manual too. Don’t forget to read up on programming each input to its source. Once hooked up the receiver’s operation is intuitive and the remote is simple, barring its clumsy changing of zones. The sound quality is a match for anything at this price, the connectivity is wide and nicely flexible, operation is straightforward. 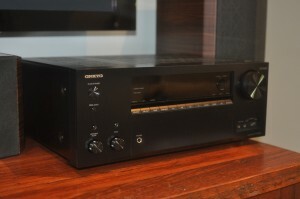 At $1399 the Onkyo TXNR686 is a serious value for money offering.